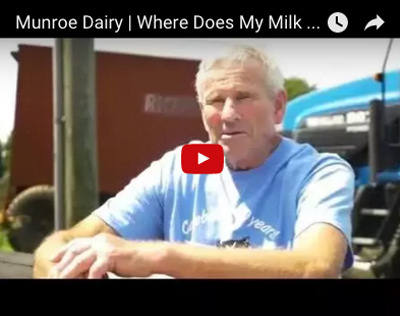 Here at Munroe Dairy, we believe that family comes first. That is why we are committed to bringing you local, healthy foods that are made of real ingredients! We know that you want the best for your family, so we only bring you the best products. Best of all, you will know exactly where your food comes from, how it’s made, and what goes ingredients are used. Our milkmen pride themselves on being attentive and accomodating to our customers. If you are not home when your delivery comes, our milkmen can leave you delivery in a cooled milk box, or even put your groceries directly in the fridge! Our milkmen take the time to get to know their customers and build a relationship with them so we can provide the best service possible. If you have a special request, we will find a way to make it happen!